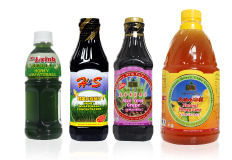 NJ Nature Juice began its operations in Kulai, Johore in 1997. Since its inception, it has focused on the beverage market offering a detailed range of products that cater to individuals of all ages and walks of life. With a series of products ranging from its proprietary NJ Wheatgrass Concentrate series to a comprehensive list of beverages in orange, aloe vera, kiwi fruit, sea coconut and honey lime flavour among others NJ Nature Juice caters to the needs of the 21st century individual’s astute needs. 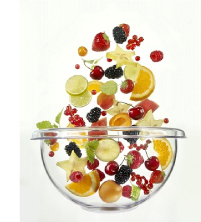 In addition to the Concentrate Series, it is also renowned for its Ready-to-Consume or RTC range of juices, ready-mix powder packs and sachet drinks. All NJ Nature Juice products are manufactured under stringent supervision utilizing modern production methods that maintain natural goodness. 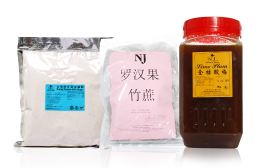 NJ Nature Juice supplies its products primarily to its clientele such as local Kopitiam outlets, coffee shops and restaurants as well as wholesalers, retailers and end users. With an extensive delivery network and a fleet of its own vehicles, NJ Nature Juice continues to expand its market range with beverages that are most satisfying in good taste! NJ Nature Juice 的产品主要供应予本地咖啡店、茶座和餐馆，以及批发商、零售商和终端用户。NJ Nature Juice拥有分布广泛的传递网络，以及本身的输送车队。我们将继续开拓市场，推出多样化的产品，满足各界对美味饮料的需求!